Last year, in April 2012, I never could think that a lot of people would be happy and interested in my choices and would share my feelings about cinema, music and literature. Thanks to all people, I keep the courage to continue. 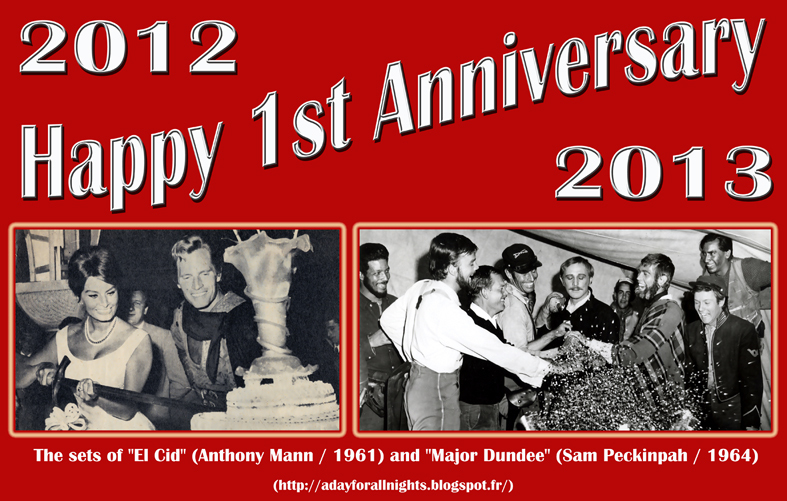 Many thanks to all visitors wherever you are in the world. More than 6 000 of you have visited the blog this month ! 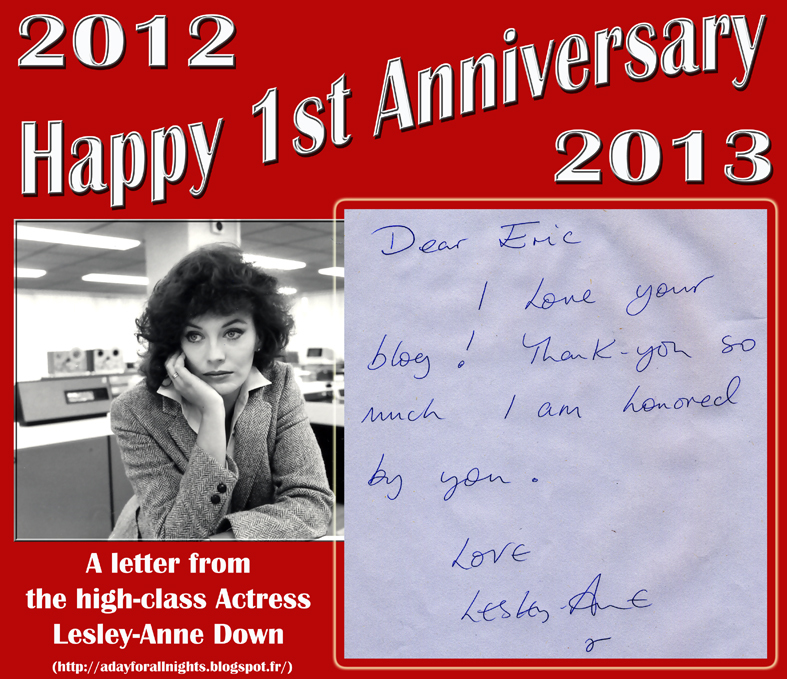 I wish to send my very special thanks to the high-class actress Lesley-Anne Down for her very kind letter. I also want to salute the film composer Michael J. Lewis, Alan Hamer, the European Representative of the Miklós Rózsa Society, Gea Vermeulen, responsible of the Official Lesley-Anne Down Fan Club, Michel Le Royer (“La Fayette”) and many close friends for their help and support.